Can you really be a master hunter without a knife? Probably but a knife can be an essential tool to hunters. 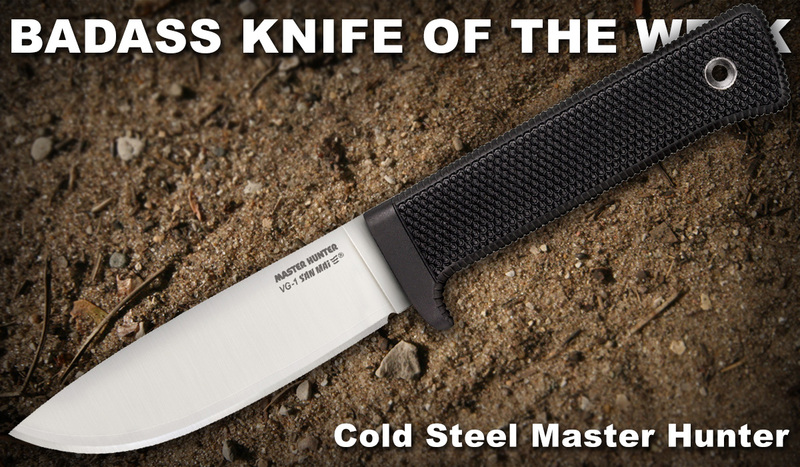 The Cold Steel Master Hunter proves that carrying a well-designed and well-built hunting knife makes your life just so much easier. The 4.5-inch drop point blade has a strong point. Although hunting knives are commonly clip point blades, the drop point profile offers its own advantages like excellent balance and functionality. This version of the Master Hunter has VG-1 San Mai III steel — laminated steel with a VG-1 core. The edge is razor sharp and features a sharpening choil to get it back to shaving sharp easily after putting it through the ringer. The spine is 3/6-inch thick to help strengthen the blade. 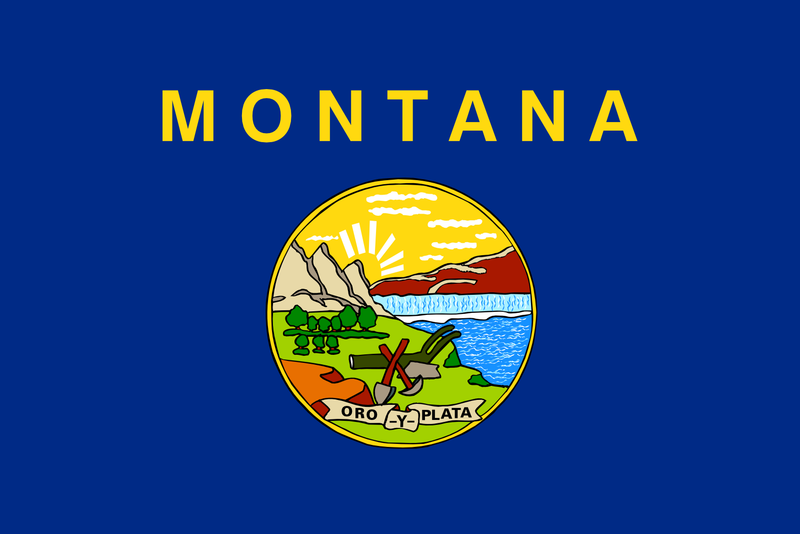 Knife Rights is hot off the heels of helping get a switchblade ban repeal and knife law preemption bill passed in the state of Montana. In fact, the knife advocacy organization held a signing ceremony for the bill, which was attended by Ethan Becker, Governor Steve Bullock, activist Joe Paschal, ACLU of Montana Director of Advocacy and Policy S.K. Rossi, and more. 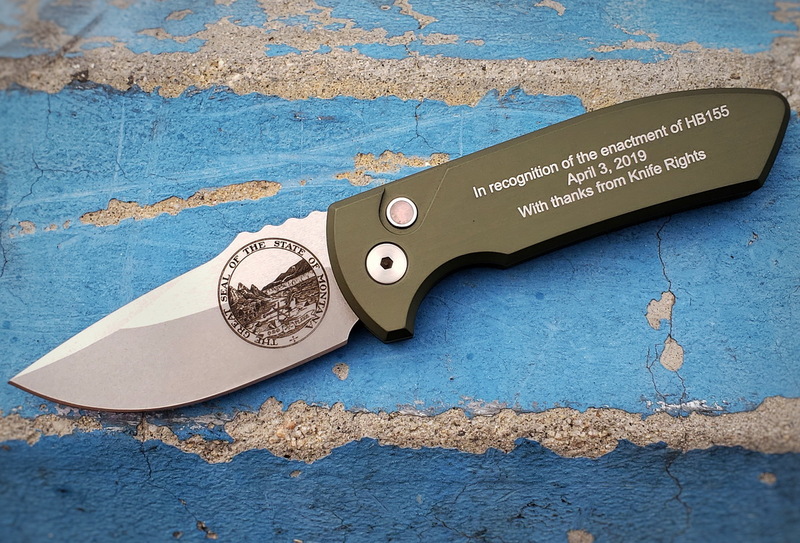 Even cooler, all involved received an inscribed Pro-Tech SBR (Short Bladed Rockeye) automatic knife. 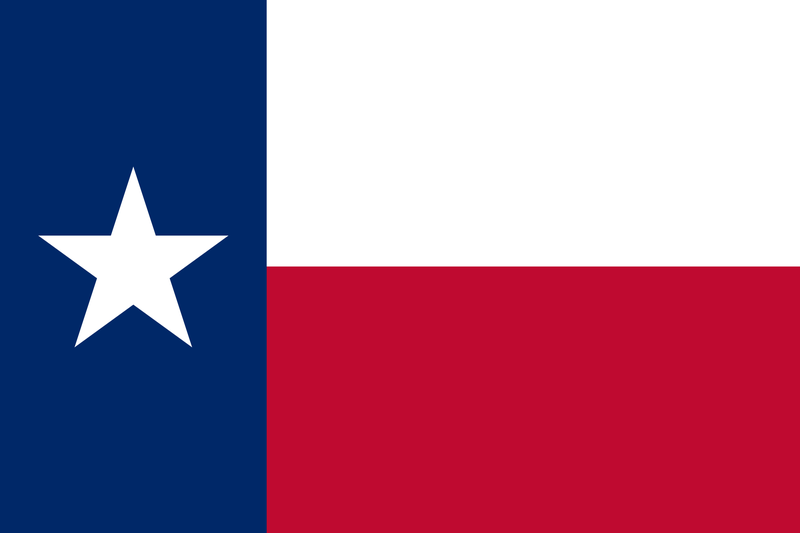 While all of this was happening, a bill in Texas that would remove location-based restrictions on knives in the state moved forward after it was passed out of the Texas Senate Criminal Justice Committee. This bill — along with its companion House bill — are still in the early stages of passage, so it would still need to pass a committee and both chambers. It’s happened to almost all of us. You get a brand new framelock folding knife in the mail and eagerly engage it. Everything seems fine as the knife opens smoothly and effortlessly. But, just as you’re closing it, you notice the framelock is extremely difficult to disengage. This is known colloquially as lock stick. Unfortunately, it’s an all-too-common issue in framelocks and even liner locks. The good thing is that there are several ways to go about fixing it. In the most basic terms, lock stick is when a framelock or liner lock feels sticky when trying to unlock it. This makes it more difficult and sometimes even painful to disengage. That’s the definition of lock stick, but what actually causes the major knife annoyance? The cause of the issue is multifaceted. One of the reasons has to do with the lockbar material and the blade steel. Lock stick happens most prominently in knives with titanium handles because titanium is susceptible to galling and tends to stick to dissimilar metals. For example, if you have a titanium lockbar contacting with the tang of an S35VN blade, they have the tendency to stick to one another. That’s why this issue isn’t reserved only for budget knives but also affects pricier ones. 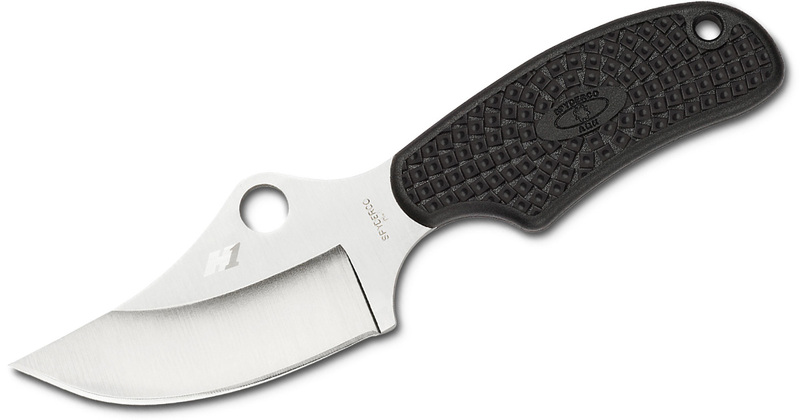 Boker calls the Kwaiken one of the most influential designs of the 21st century. While that may sound like hyperbole, it’s not too far from the truth. The Boker Plus Kwaiken, designed by Lucas Burnley, took the concept of a functional and crisp knife that’s made to cut to the extreme. Based on the clean Japanese knives of old, this folding version of Burnley’s Kwaiken Classic fixed blade appeals to nearly everyone — from the groom at a wedding to law enforcement personnel. The knife has a long and slender 3.5-inch blade that opens effortlessly with the flick of the flipper tab. A piercing point and a long cutting area make using this knife a dream. Its VG-10 stainless steel provides solid rust resistance and ease of sharpening. The arrests of knife owners in New York continues. 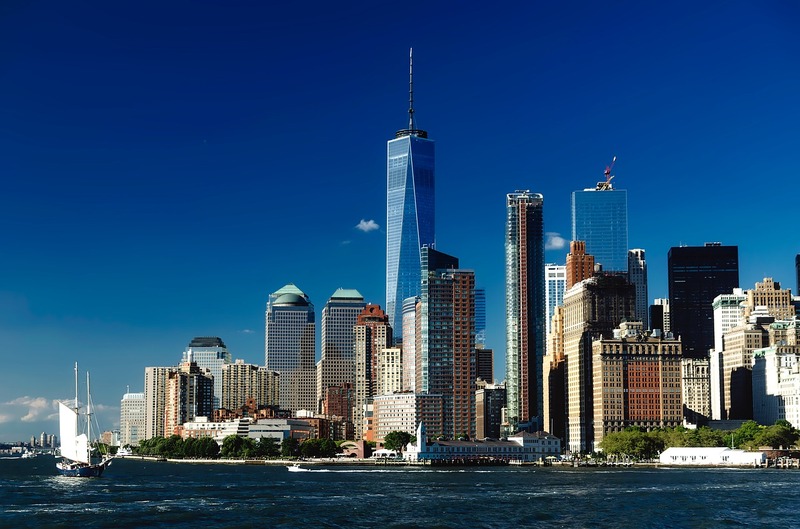 More than four years after the Village Voice published an exposé on how vague wording in the statutes have led to thousands of arrests against mostly minority knife owners in New York City, the arrests are still going on. Even after lobbying from Knife Rights and the passage of two bills by the state’s legislature clarifying the law (which were ultimately vetoed), police are still using gravity knives as an excuse to arrest law-abiding citizens. But, “tenacious dems” — as Knife Rights puts it — have continued to work on stopping the arrests in New York City. The state assembly just passed a bill that would completely remove “gravity knives” from New York criminal statutes. It passed unanimously. The state senate will soon vote on a companion bill, and I expect it to be passed near unanimously as well. What happens after that remains a question. Knife collecting is a rich man’s game. Although you can have a robust collection of great knives without putting out a second mortgage on your house or doing Uber as a side hustle to pay your knife addiction, you have to spend quite a bit to really get all the tiers of knives, even from the name brands. 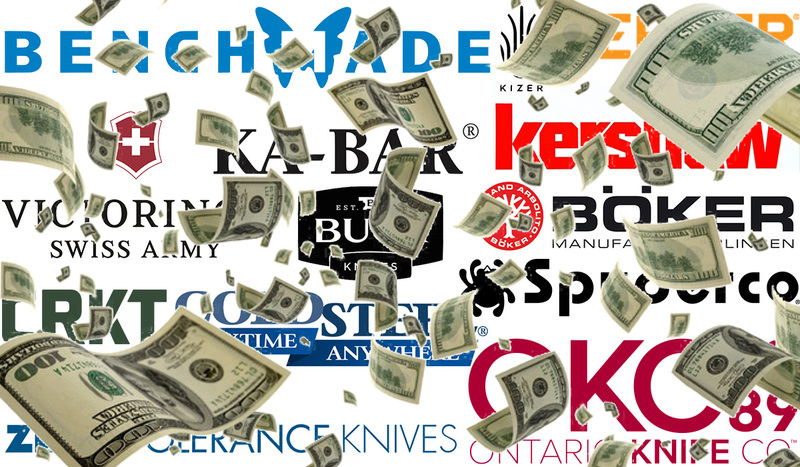 To see just how much you have to spend to see the top-tier knives from each brand, I assembled a list of the most expensive models from some of the most popular brands. I’ve been kicking around this idea in my head lately, but the recent release of the ultra-premium CRKT XOC motivated me to finish this post. This was kind of tough to do because most of the brands have a special edition premium knife in the offerings or they have a large sword that costs a pretty penny. I decided to limit it to knives and tried to mention the most expensive regular production knife when applicable. These are also only the models in current or recent production. 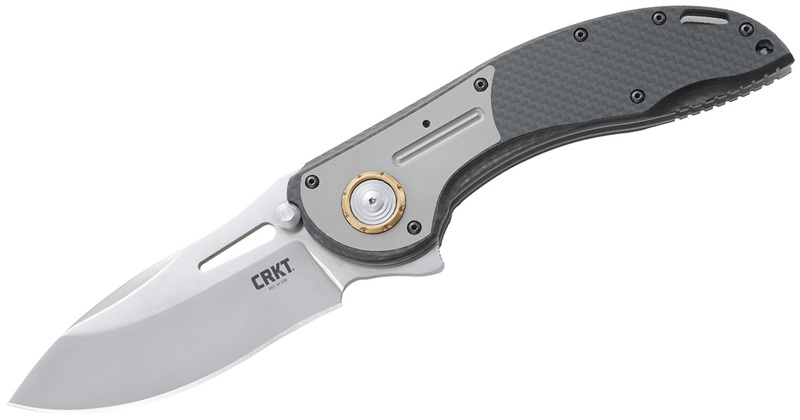 Let’s start with one of the most recent announcements: the CRKT XOC. Pronounced “shock,” the XOC was a shock to most of the knife world. Not only is this knife huge, but it also carries a huge price tag. It comes in at $750. This is a special edition knife though and is only tied for the most expensive the brand has put out. 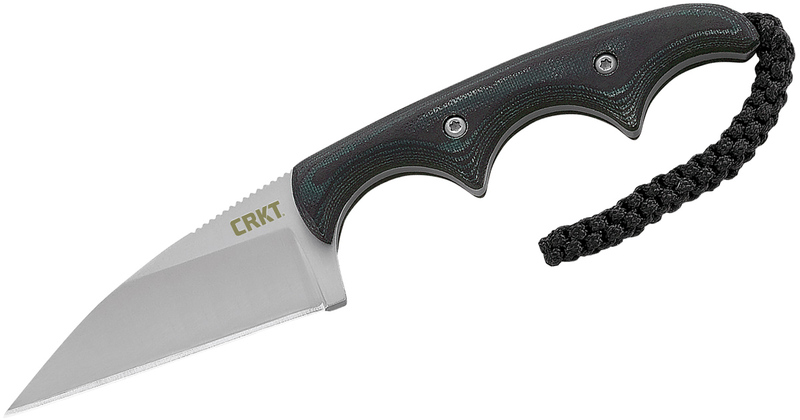 A few years back, CRKT released the limited edition Buy Tighe (a double-bladed folder) and also has the CRKT Motley currently available with an MSRP at $750. I decided to put the XOC on here instead of the Motley because the Motley can be had for a street price of $425 but it’s unclear what the XOC will ultimately go for. The most expensive knives are the mini swords from James Williams (the Hisshou at $375 and the Shinbu at $350). 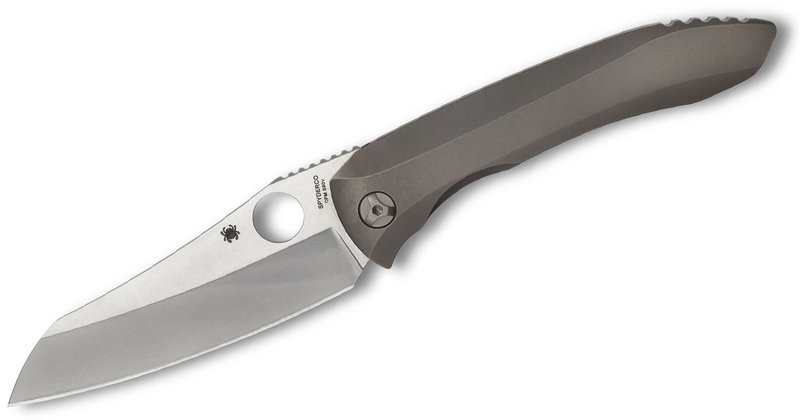 In 2018, Spyderco discontinued its then-most expensive knife — the Nirvana with an MSRP at $739.55. But another Peter Rassenti integral frame lock knife took the mantle. The famous knife brand only recently announced the knife and it hasn’t officially been released but it has an MSRP of $800 and a street price of $520. Sometimes you just need a big honkin’ knife to get the job done. 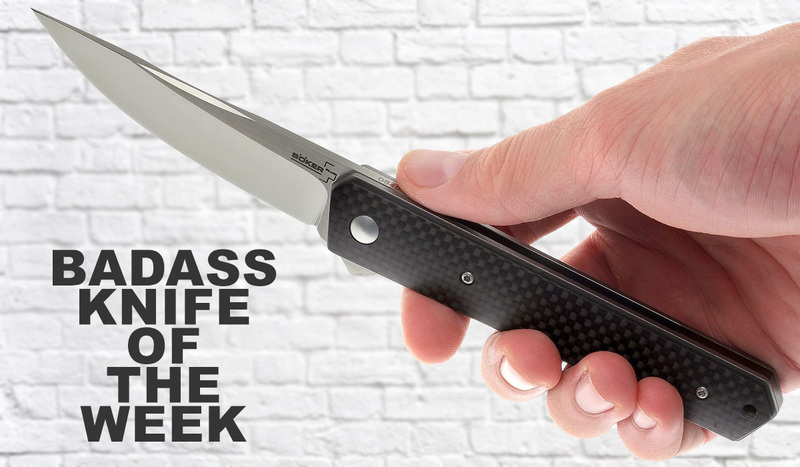 Enter the Badass Knife of the Week. 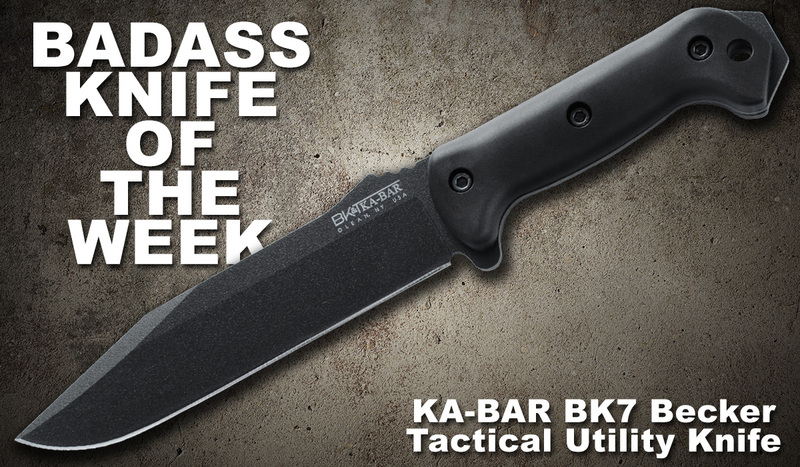 The KA-BAR BK7 Combat Utility Knife is billed as the ultimate, all-purpose fixed blade designed specifically for soldiers and hard-core adventurers. It does not disappoint. When we say the knife is huge, we’re not joking. The BK7 comes in at a total length of 12.75 inches. 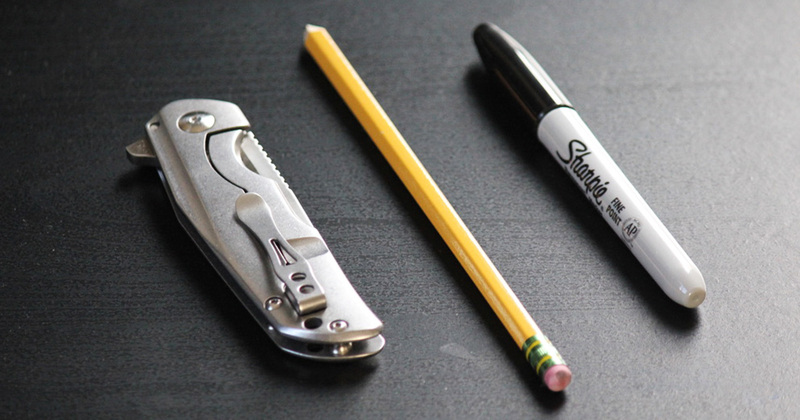 The 7-inch clip point blade is made from 1095 Cro-Van steel, an alloy that’s easy to sharpen and takes tons of abuse. Black coating also helps the high carbon steel better stand up to the elements. The blade has a few more things going in its favor. A swedge along the spine near the tip helps give the knife even more penetrative power. Jimping, a sharpening choil, and a flat grind are all little things often ignored on larger knives. Knife Rights secured yet another victory — this time for the people of Montana. 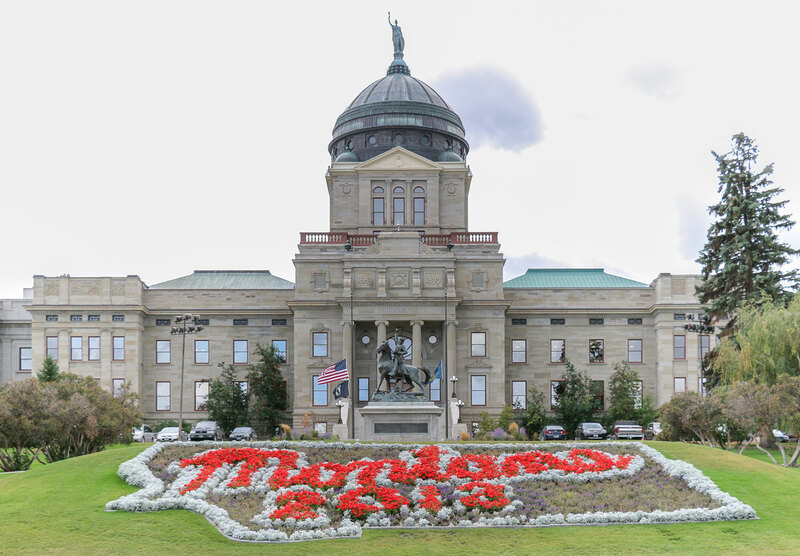 A switchblade ban repeal and knife preemption bill was officially signed into law by Montana Governor Steve Bullock this week. This means that switchblades (also known as automatic knives) are now legal to own and carry in the Treasure State. 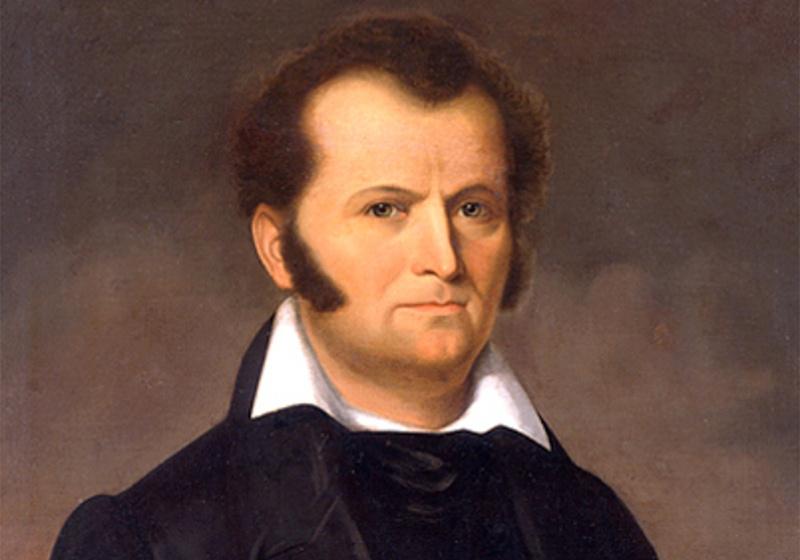 The knife preemption part of the bill ensures that the law is clear throughout the state. Local knife ordinances no longer apply if they are stricter than the state-wide knife law. Unlike some bills, HB 155 takes effect immediately, so if you’re in Montana and want to buy an automatic knife, there’s no need to wait. “There is no good reason they were banned in first place other than 1950s Hollywood movies depicting them as a weapon for delinquents and such,” Knudsen said. Knudsen described switchblades as one “of the safest knives on the market,” adding they can be opened and closed with one hand. He said they are convenient for people with disabilities. Like most knife bills that get passed, this was also supposed by libertarians and defenders of civil rights, such as the American Civil Liberties Union (ACLU). The old saying goes that the best lock mechanism on a knife is a fixed blade. Back in the day, fixed blades were mostly robust outdoor tools, but the trend has been increasingly toward lighter and lighter fixed blades. That’s a plus for everyone. A few years back, I wrote a post on the best EDC fixed blade knives. While all the knives performed well at EDC tasks, many of them were quite hefty. So I decided to take the concept of an EDC fixed blade and narrow it down even more to the best lightweight fixed blades. All of these knives are at least under 3 ounces — with many of them being under 2. OK, I know my love for the CRKT Minimalist permeates everything around here, as this model makes it onto many best-of lists (including the aforementioned best EDC fixed blades). But it deserves another mention here. In the best EDC fixed blades post, I highlighted the Bowie version, but the Wharncliffe version is even lighter at a mere 1.1 ounces. This is one of those knives you can feel confident carrying anywhere you go and feels big in the hand, despite the — well — minimalist handle. A Spyderco made it on the best EDC fixed blades, but the Street Beat is a pretty heavy folder. Enter the Spyderco ARK. 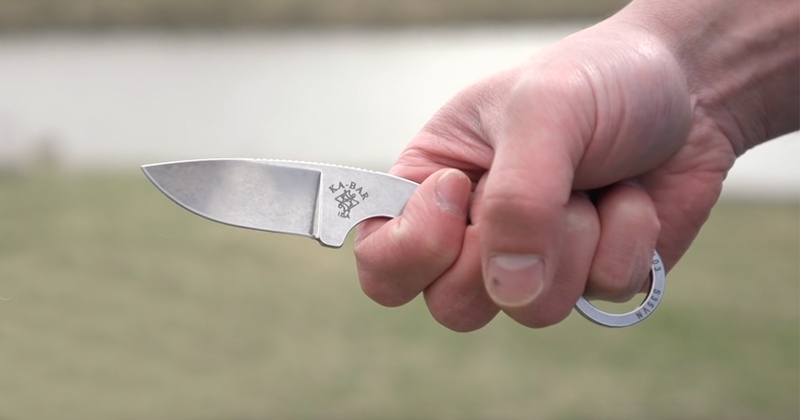 Standing for “Always Ready Knife,” the ARK was designed as a personal defense knife by U.S. Army combat veteran John Shirley and his friend Sam Owens. Another April Fools Day is behind us and so are a bunch of hilarious jokes companies and brands pulled. Instead of moving on, we thought it’d be funny to take a look back at all the best knife-related jokes and pranks for April Fools Day 2019. Here are the main ones we saw and enjoyed. Let us know your favorites in the comments. I admit that this one initially got me. First because it was sent out in an email on March 29 and second because it’s something I’d actually buy. 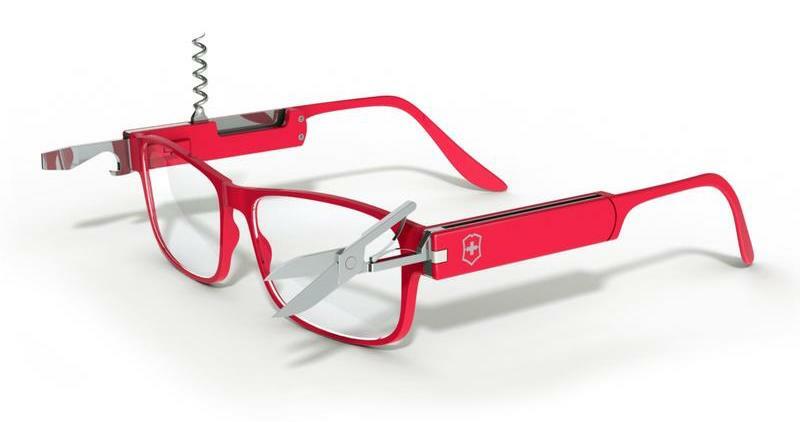 Victorinox teased special edition Survival Rx reading glasses with built-in tools like those found in a Swiss Army Knife. There were scissors, a bottle opener, tweezers, a toothpick, and a corkscrew that come off the frames of the glasses. As a glasses-wearer and daily carrier of a Swiss Army Knife, I was excited to see something like this. Sure, it’s crazy but then I saw the price tag starting at $129 and knew it was a fake. Still, good idea and great execution. Well done Victorinox and GlassesUSA.com. Blade Magazine is not above having some fun on April Fools Day either. This may be the single most important story BLADE has ever broke. Anyone who follows the magazine knows that the original Bowie knife has been an elusive treasure that has yet to be found. Could this finally be it?